India is witnessing a crowd of startups now a day. Every sector is booming with startups based on digital marketing. Many have raised funds and many are still waiting. From retail industry to grocery shopping, each and everything has gone online. The e-commerce industry has reached to a new height. And in this growing market, online food market is among the top and fastest growing industry. We have seen many startups in online food industry counting from FoodPanda, Zomato, TinyOwl, JustEat and many more. 2) 13 Indian Startups that received funding this week (16 May- 22 May) . Swiggy was founded by three personalities working in three different fields. These three came up together and established this business in the rapidly growing sector of online food industry. Sriharsha is a BITS Pilani graduate and ex-investment banker. Earlier he built Bundl, which was a failed startup that aimed to solve problems in e-commerce logistics. Nandan, also a BITS Pilani graduate which has consulting work experience and had built failed startups around restaurants and logistics. Rahul an IIT Kharagpur graduate who worked for the last 5 years in Netapp and Myntra. Failing of a startup doesn’t mean that the founders were failure. It shows that the founders lacked in something which ought to be present in the business. 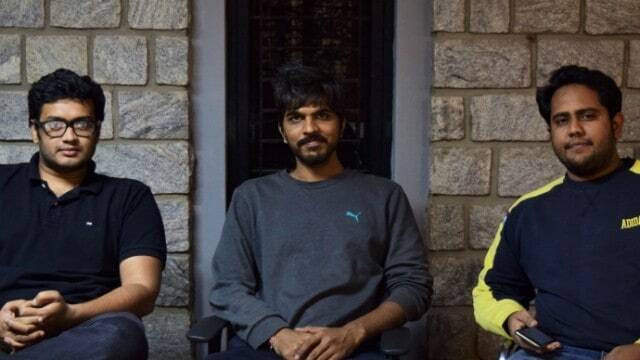 And learning from all the previous mistakes, these three entrepreneurs started Swiggy, which has seen growth in the days and its rate is continuously climbing up. Swiggy is an online food ordering and delivery firm based out of Bangalore that started its operations in August 2014 in Koramangala which is known as the hub for startups. The company has joined hands with cloud kitchens such as Eatongo, Brekkie and others to offer quicker delivery service to its customers. Cloud kitchens are basically online breakfast and feast units that do not have a physical existence. They run their business on a virtual website or appthrough which they take orders. Swiggy wants to provide infrastructure to these cloud based kitchen along with handling order taking, delivery and logistic. Why we selected Swiggy as Startup of the Week? We have selected Swiggy as startup of the week because of its growth showing its popularity among the foodies and investors. At present the company has tie-up with more than250 restaurants and the counting is doubling month-on-month basis over the last three months. Its USP has differentiated it from its competitors. Also, the company is being advertised with word of mouth model and it has seen 4500 fans over Facebook and around 500 followers on Twitter. Unlike other food ordering platforms, Swiggy has one major advantage over the other food delivery startups that it has its own fleet of delivery personnel equipped with smartphones with an app powered by routing algorithms, which pickup orders from restaurants and deliver it to the customers. This ensures that Swiggy provides customers with timely delivery and real time tracking of their order status. This is the main USP of the brand which gives it an edge over its competitors. As Swiggy hasits own fleet, so it does not have any minimum order policy for any of its restaurant and accepts online payments for all the registered restaurants. Swiggy has raisedcontinuous funding in two months. SAIF Partners and Accel Partners showed interest in the model of the firm and invested $2 million in April this year for enhancement of technology and expansion of services to other cities. Soon in May, Swiggy again received Series B round of funding of $15 million from Norwest Venture Partners.The rapid growth of the brand is attracting more investors to invest in. They work on a very simple and fair business model. They charge a certain amount as commission from our partner restaurants for each sale and they impose small delivery feesof 30 rupees on consumers if their order amount is less than 150 rupees. The company is currently in a hyper growth phase. At present the company has tie-up with more than250 restaurants and the counting is doubling month-on-month basis over the last three months. Swiggy employs around 500 people including 250 delivery executives. The startup plans to ramp up its delivery fleet to engage over 2,000 personnel across cities by end of this year. The company recently started operations in Hyderabad and has plans to expand the service to Mumbai, Pune and NCR region in the coming months. Swiggy has expanded from two neighborhoods in Bangalore in February to 12 at present, with plans to cover the entire city in the next two months. The company is working with more than 1,500 orders per day and is targeting 10,000 orders a day by August this year, when it completes its one year of operation. [su_box title=”More From DSIM :-” box_color=”#c7c7c7″ title_color=”#000000″]1) An interview with Director of Talash.com, Mr. Saureen Vyas. 2) CASE STUDY: How Justdial became a Billion Dollar Company?